Notes: A fast growing shrub or occasionally seen as a tree form. 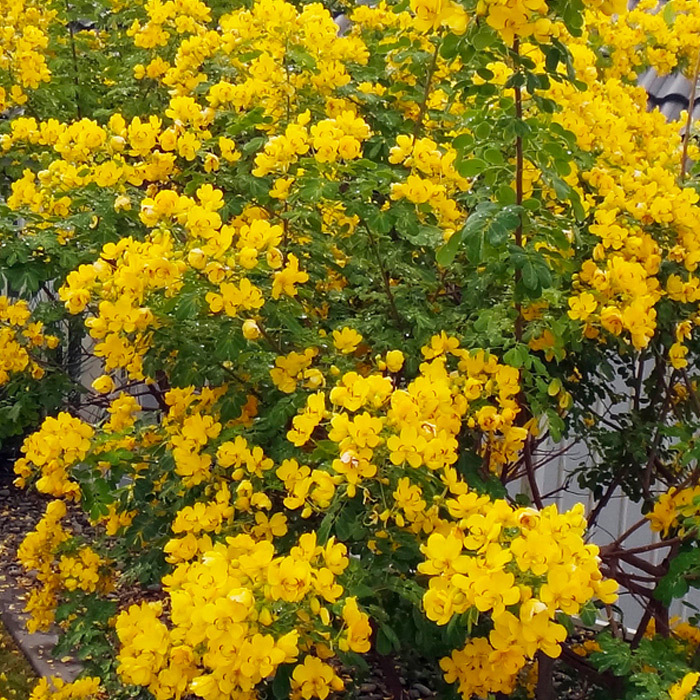 Cassia requires water at planting but is very drought tolerant once established. Masses of bright yellow flowers appear in early fall and persist until cold temperatures arrive. Cassia can suffer some frost damage but recovers nicely.